Located just 5 minutes from Moonta’s northern beaches, Moonta Ways is a 2-storey holiday house, sleeping up to 8 guests. Moonta Ways has 3 upstairs bedrooms – queen, queen, bunk bed plus a bunk bed in the lounge room. 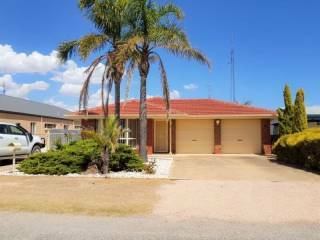 Just a short walk to the Moonta Bay northern beach, Clancy and Bill’s is a self-contained holiday house with plenty of room for a family holiday together. Sleeping up to 10 people. 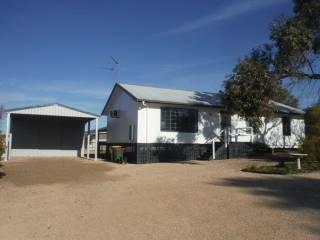 Located at Moonta Bay near Patrick’s View Estate, Bandi’s Place is a 3-bedroom self-contained holiday house just a 15-minute walk to the beach. Sleeping up to 6 people across 3 bedrooms. Sea La Vue is a beautiful beachfront house overlooking Simms Cove. A tastefully and practically decorated home away from home. This tastefully decorated and spacious apartment provides an ideal relaxing holiday for family and friends. 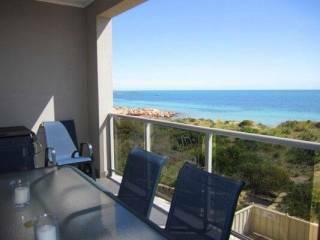 Moonta Bay Beach Villa 3 is a self-contained beachfront villa with panoramic views of Moonta Bay. Sandcastles is a double storey executive Villa offering spacious living areas and absolute beachfront views of Moonta Bay and Port Hughes. The Cove at Port Hughes is beachfront, executive, has 2 lounge areas, and will easily sleeps 2 large families! Located in the new housing estate adjacent to The Dunes Golf Course at Port Hughes, Deck to Sea has a spacious deck out the front with 180 degree views over the estate and the well-known Port Hughes Greg Norman designed golf course. 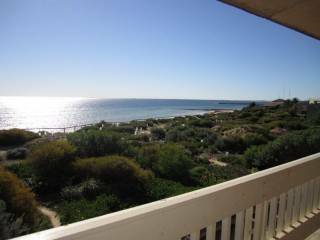 Sea Breeze at Port Hughes is a 4 bedroom holiday house, located just a short walk to The Dunes Golf Course, a PGA course designed by Greg Norman and the Port Hughes Tavern, beach and shop. 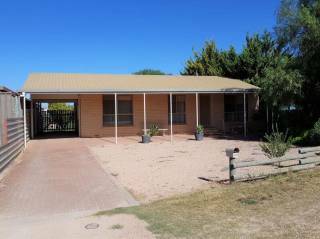 Mario's Way is a family friendly holiday home in popular Port Hughes that is well worth a look. Situated in the heart of Patrick's View residential development, Port Hughes Escape will suit two families who like plenty of space. 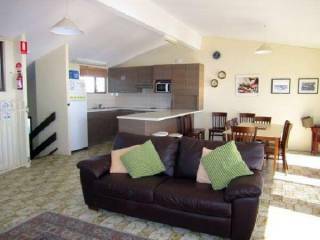 Located at Moonta Bay, Arthur’s Beach House is a 5-bedroom 2-storey holiday house, sleeping up to 12 guests. The master bedroom upstairs has a queen bed with ensuite bathroom, and the other 4 bedrooms are downstairs. 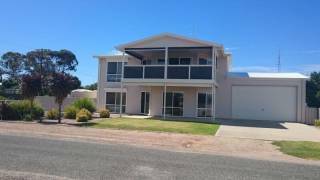 Less than 10 minutes to the Moonta Bay & Port Hughes beaches, All Seasons is a self-contained holiday house with plenty of extra guest comforts including free WiFi. 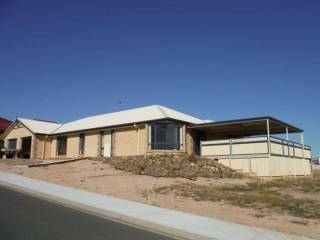 Shell Seeker is a 2-storey executive Moonta Bay holiday house, which can sleep up to 8 people in 4 bedrooms. It is ideally located for your next beach holiday and only a 3-minute walk to the Simms Cove beach! 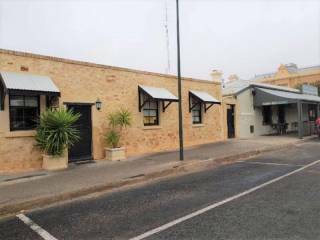 The Moonta Headmasters House is, as you would expect close the historic school centrally located in the township of Moonta. Walk to the Moonta Main Street where you will find restaurants, pubs and shops. Situated in Patrick's Cove, a subdivision of Port Hughes, San Se’Air is a beachfront property. It is an ideal holiday house for a family or group of friends looking to get away and enjoy the breathtaking views. 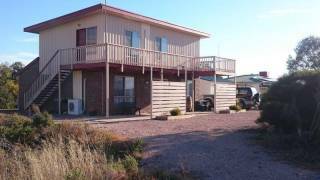 Decked Out is located just a short walk to the boat ramp and white sandy beach of Port Hughes near Moonta Bay. The three bedrooms are all spacious and are simply decorated and equipped with everything you will need. Displaying 1-20 of 62 results.